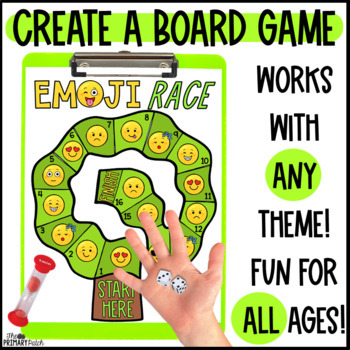 Media Literacy: Create a Board Game! Game On! 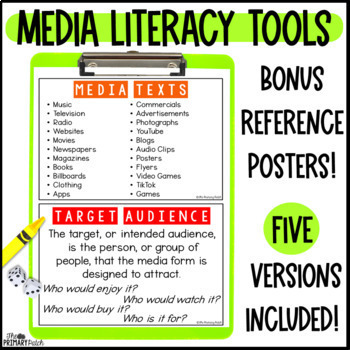 This Media Literacy unit is fun, highly motivational, and broken down into manageable steps for every type of learner in your class. Chances are it will be one of the most memorable projects of the year! They will love creating a unique board game with a theme that they are passionate about. The end product is a fully functional (often store worthy!) board game that they get to take home and play with friends and family. This tried and true unit was created to help busy primary teachers cover Media Literacy in a fun and easy way at any point in the school year. 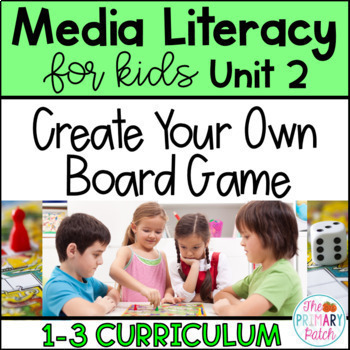 Media Literacy Fun for Primary Grades: Create a Board Game can be completed in less than a week, or over several. The choice is up to you! This unit works exceptionally well at the beginning or end of the year. Why not invite older or younger Learning/Reading Buddies to play? Feedback forms are included for this purpose. Included in the file is everything you need (minus the empty pizza boxes, paper clip and dice of course!) 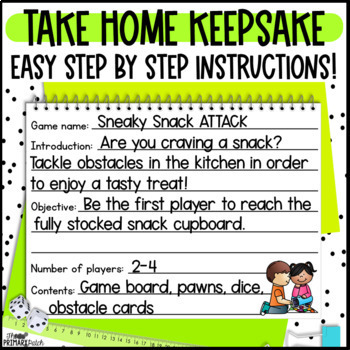 for your students to create fun Board Games to play in class and at home with their friends and family. And lots of pictures of student samples! Thank you for taking an interest in this unit! Please ask any and all questions before purchasing by using the Q&A feature or emailing me at primarypatch@gmail.com. • Please go to your My Purchases page. Beside each purchase you'll see a Provide Feedback button. Simply click it and you will be taken to a page where you can give a quick rating and leave a short comment for the product. Each time you give feedback, TPT gives you feedback credits that you use to lower the cost of your future purchases. I value your feedback. • Look for the green star next to my store logo and click it to become a follower. Voilà! You will now receive email updates about my store.